Moms Meet has a new sampling opportunity for Mom Ambassadors! 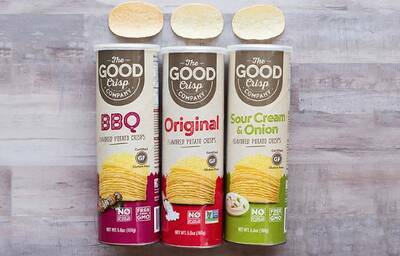 Apply for the FREE The Good Crisp Company Flavored Potato Crisps Sampling and if accepted into this program, you'll be sent a Sampling Kit that includes: The Good Crisp Company Flavored Potato Crisps to sample, coupons to share with your group, and additional The Good Crisp Company goodies, just for you. Good luck! Not a Moms Meet member? Follow the steps below to sign up for free then apply for the sampling.